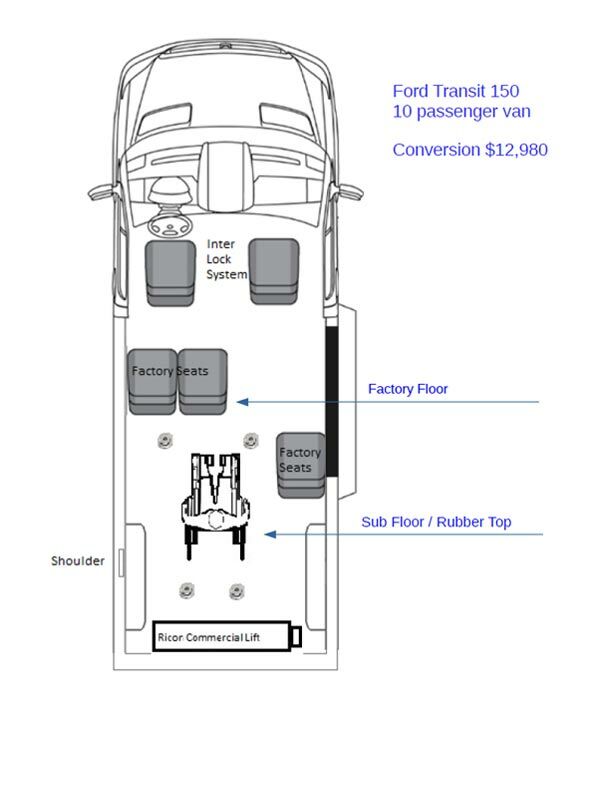 AMS Vans can design multiple configurations to fit your needs, whether you’re transporting wheelchair passengers, ambulatory passengers, a gurney for NEMT use, or a varied combination of any or all of the above! The powerful Ricon lift can be installed at the side or rear. For more flexibility, add single- or double-fold jumpseats! Conversion price starting at $14,980. We offer innovative and reliable products at affordable prices. 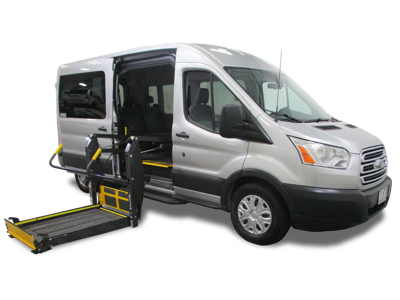 AMS Vans offers full-size Ford wheelchair vans for sale at attractively low prices, all Certified Used as a result of an in-depth 134-point inspection. Enhanced by our convenient online shopping, superior customer care, economical delivery options and 24/7 aftercare for as long as you own the vehicle, these historically homegrown Ford vehicles lend themselves well to conversion for wheelchair accessibility. Ford is one of the few auto manufacturers to have produced both a full-size van and multiple minivans that became popular handicap vehicles. The TRANSIT from Ford has a large floor space, allowing for an extraordinary amount of versatility. 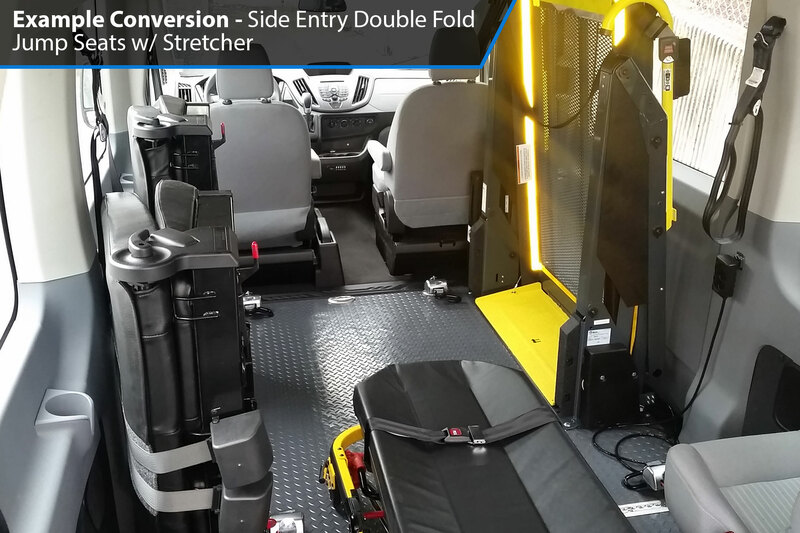 AMS Vans can design multiple configurations to fit your needs, whether you’re transporting wheelchair passengers, ambulatory passengers, a gurney for NEMT use, or a varied combination of any or all of the above! The powerful Ricon lift can be installed at the side or rear. For more flexibility, add single- or double-fold jumpseats! Conversion price starting at $14,980.